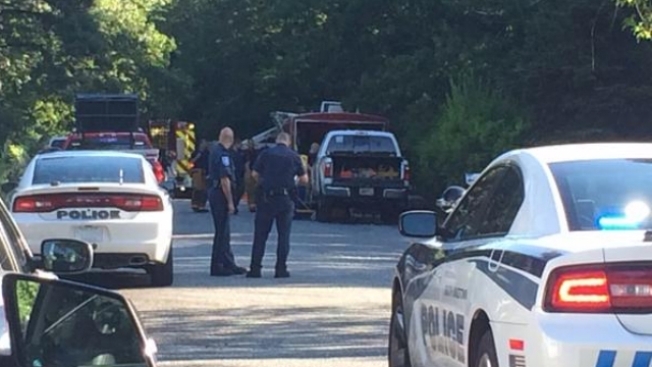 Police are at the scene of a fire and possible explosion in South Kingstown, Rhode Island. Two people were injured in a reported house fire and explosion in South Kingstown, Rhode Island, on Friday morning. Mutual aid was called in from several surrounding towns to assist with the fire at 219 Hemlock Road, which was first reported around 6 a.m. A hazardous materials crew was also requested. There is no word yet on any injuries. Police and fire officials are releasing few details at this hour, and the media is being kept back from the scene.